It was a busy weekend for Jordan. Around 12 people; including children, died in flash floods and a suspicious disappearance of the head of ‘Mominoun’ (‘Believers Without Borders’) appeared to be kidnapped, assaulted and has now been accused of blasphemy. 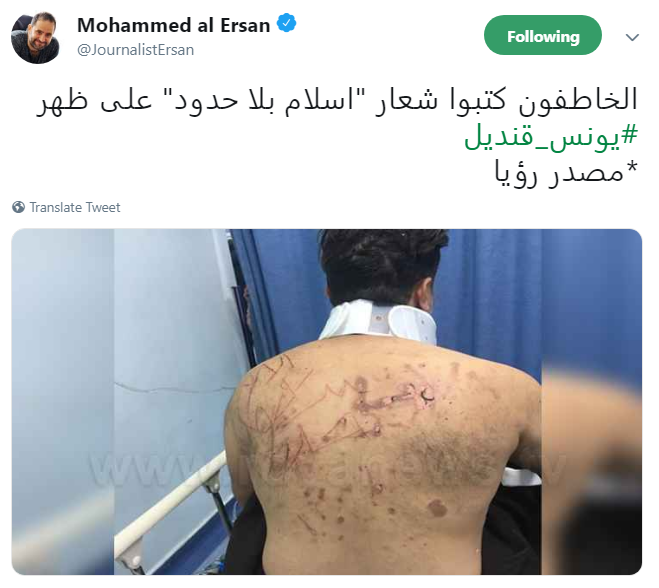 The Secretary General of the “Mominoun [Believers] Without Borders” Centre for Research, Younis Qandil, was found early on Saturday abandoned in one of the forests and tied with clear signs of torture and physical abuse.